If you've ever done any home improvement, you know how hard it is to visualize what a finished room will look like. That's why Lowe's is going to start putting so-called Holorooms in its stores. These augmented reality chambers show your finished project before you've even started. Lowe's is completely transparent about the extent to which the Holoroom is inspired by science fiction. 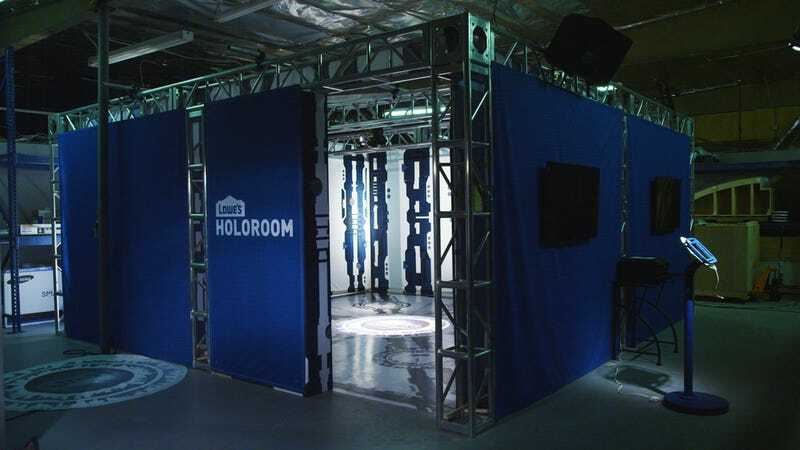 As the first project out of its new Innovation Labs, the Holoroom aims to create an immersive experience for customers to visualize their home improvements. Using a tablet, you simply pick out the products you want to see, and enter the Holoroom to see what they'll look like in the room you're renovating. It's unclear from the announcement what specific technology is powering the actual room, though it is a good hook to get you into the store. You can, however, take home a print out of the design and share the design with friends through a smartphone app.